ADELPHI, Md. (Sept. 23, 2013) -- Did you know that U.S. Army Research Laboratory scientists can reprogram cellular machinery to develop protein materials that nature has yet to discover? ARL researchers report on just this type of breakthrough in an article highlighted on the inside front cover of the Sept. 6 issue of Advanced Materials. Advanced Materials is a premier material science journal, featuring interdisciplinary "research … at the cutting edge of the chemistry and physics of functional materials." 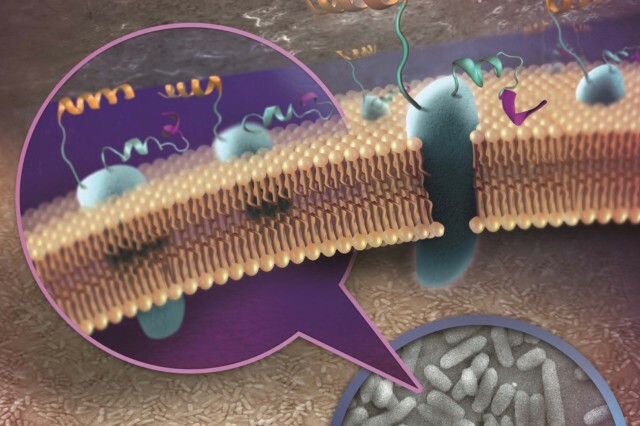 Peptides -- short chains of amino acids that are the building blocks of proteins -- are of interest to ARL because they can be developed with a high binding affinity to a target material while remaining stable under a variety of extreme conditions. 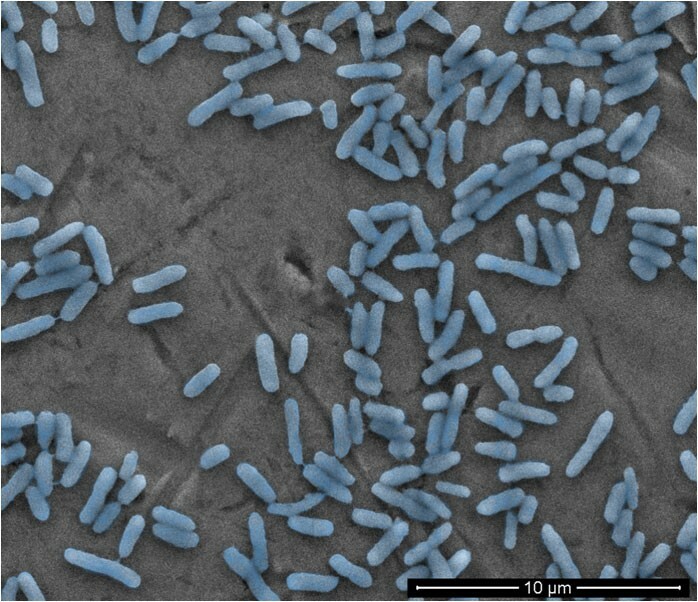 Dr. Dimitra Stratis-Cullum, of the Sensors and Electron Devices Directorate's BioTechnology Branch, led the effort to develop a new methodology harnessing E. coli cellular machinery for discovery of synthetic peptides with designed interaction with bulk inorganic materials. 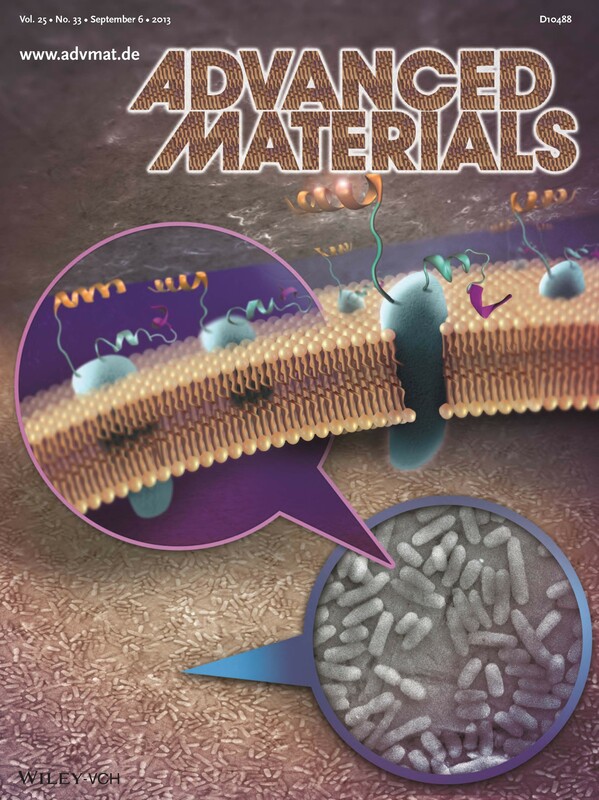 This groundbreaking manuscript, titled "Genetically Engineered Peptides for Inorganics: Study of an Unconstrained Bacterial Display Technology and Bulk Aluminum Alloy," also shows that it is possible to understand the details of hybrid material interactions. When you utilize interdisciplinary tools, surprising and exciting results sometimes emerge. "It was fantastic to work with a multidisciplinary team to reach beyond method development and novel peptide discovery and to delve into understanding the biological/non-biological interface," said Dr. Bryn Adams, primary author and postdoctoral fellow of SEDD BioTech. Despite their relatively compact size of 50 or fewer amino acids, peptides are similar to proteins in that their functionality is often highly associated with their structure. The ARL researchers are the first to show evidence that sequence-dependent, structure-function relationships of "designer" peptides with metal and metal-oxide materials contribute to high affinity peptide interactions. "This work involved an extremely tight coupling between the hard evidence, provided by laboratory experimentation, and computation to reveal the link between a peptide's chemical makeup and its ability to bind to a particular surface," commented co-author Dr. Margaret Hurley of ARL's Weapons and Materials Directorate's Energetic Materials Science Branch. "Peptide display technology has revolutionized the ability to screen millions of compounds, or libraries for novel binding materials," added co-author Dr. Amethist Finch of SEDD BioTech. Using the showcased technology, scientists can now develop high affinity materials without knowing anything about the binding site or chemistry of the targeted surface. So, what's in it for the Army? The basic knowledge obtained by this and related ongoing research is "critical to a wide spectrum of Army applications that require hybrid (bio/non-bio) integration, such as smart and adaptable sensor platforms, bio-adhesives and living paints," commented Stratis-Cullum. 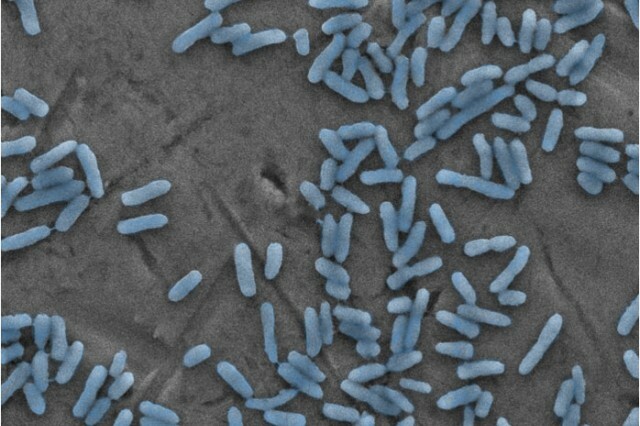 Moreover, the emerging field of synthetic biology and synthetic molecular systems is expected to be one of several strategic research areas identified for future game-changing capabilities to our Soldiers, as recognized in the recent U.S. Army Research, Development and Engineering Command strategy document titled, "Maximizing Land Combat Power." Additional contributions towards this discovery are attributed to Deborah Sarkes from Goldbelt Raven, who collaborated with ARL researchers in-house as part of the ARL BioTech team. The recognition of this publication is a great achievement for all involved, and further establishes ARL's biotechnology program at the forefront of biomaterial discovery and innovation. "Genetically Engineered Peptides for Inorganics: Study of an Unconstrained Bacterial Display Technology and Bulk Aluminum Alloy"